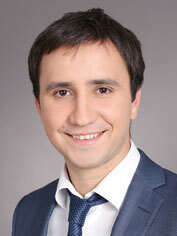 Ukrainian Law firm VB PARTNERS was founded in 2005. 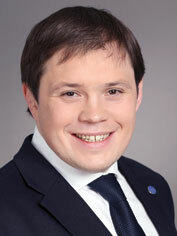 During its existence, the team has won the reputation of highly qualified specialists in various areas of law. The firm provides comprehensive legal assistance and business consulting services to national and foreign investors all over Ukraine. During the last 8 years VB PARTNERS has gained deep expertise in such areas as Corporate, M&A, Litigation, White-Collar Crime, Taxation, Competition and Antitrust, Investments and Real Estate. VB PARTNERS is considerably good at banking, retail, real estate and construction, investments, media & entertainment, tobacco, alcohol, metallurgy, energy and national resources sectors. — Qualified legal representation in criminal cases, etc. Within the last three years, VB PARTNERS has been in the TOP 50 of the best domestic law firms in Ukraine. The partners of VB PARTNERS are consistently placed in the list of leading Ukrainian specialists of the country’s legal market by the most authoritative international and Ukrainian market reviews. Confidentiality compliance, trustworthiness and immediate response to clients’ challenges and demands constitute an integral part of the firm’s operating philosophy. We are proud to be described as an effective and dynamic law firm.